The Booth Lake Trail leads to beautiful Booth Lake at 11,434’ and is set amidst gentle valles of green meadowns and pine covered slopes. One of the best hikes in Summit County, a morning along this path is one to be savored. 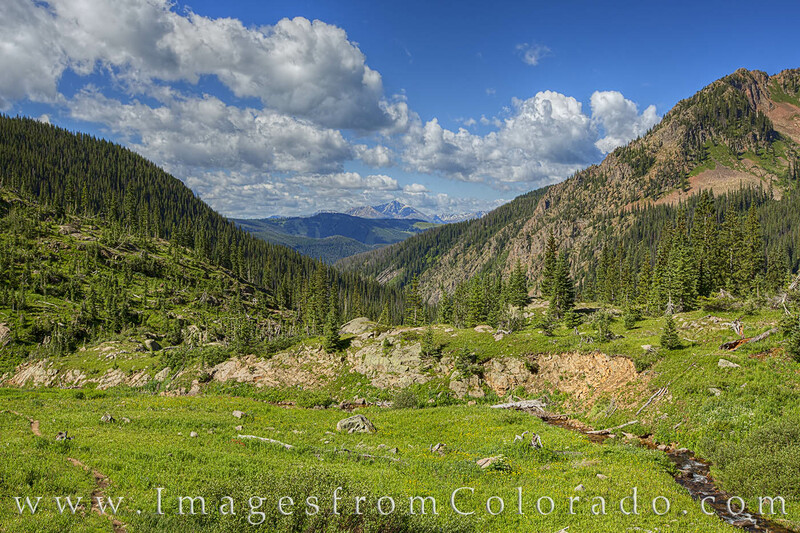 The trail itself climbs over 3,000 vertical feet and offers rewarding views of the surround Rocky Mountains. Photo © copyright by Rob Greebon.